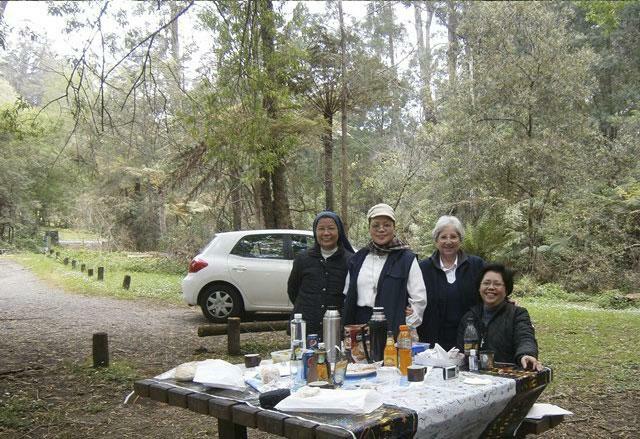 The Pastorelle Sisters in Australia had the joy of welcoming Sr Arsie Estrada in their midst from 5 to 17 October 2014. 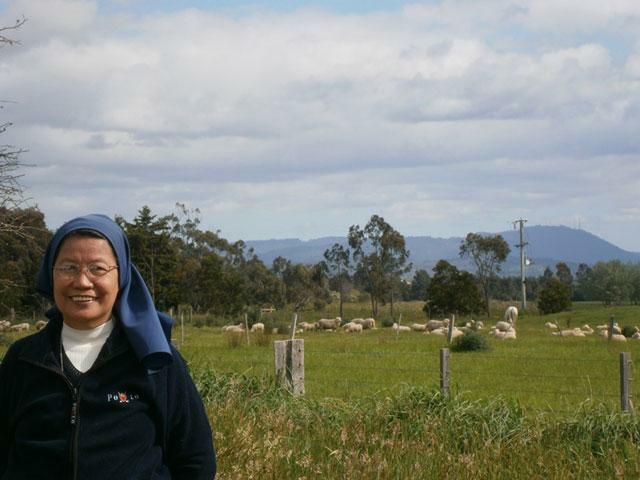 This was her first fraternal visit as Provincial Superior of the Philippine-Australia-Saipan Province since she came into office on 1 June 2014, therefore marking the beginning of a new chapter in the journey of our Congregation in Australia. 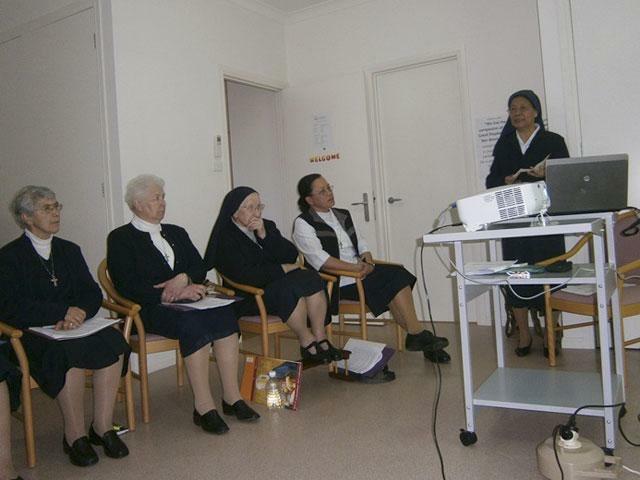 In the two weeks that Sr Arsie was with us, we had an assembly where she presented the work and presentations of the 7th Interchapter held in Rome last August 2014, devoting special attention to Sr Marta’s triennial report and final recommendations. A meaningful part of the assembly was the presentation of the lamp to the Superior and in turn to the Coordinators. 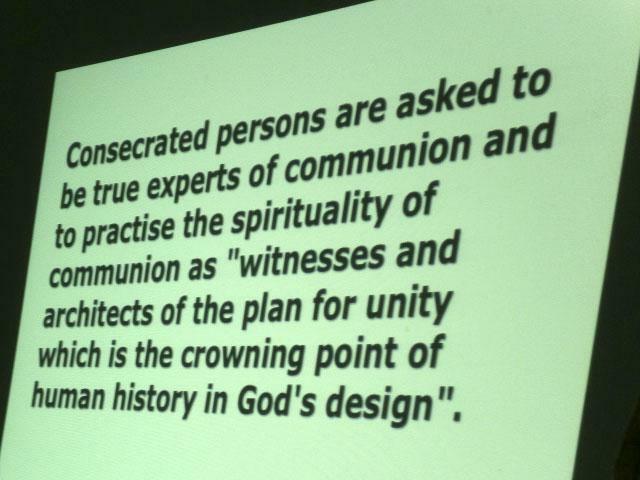 All times of prayer were special moments of communion. 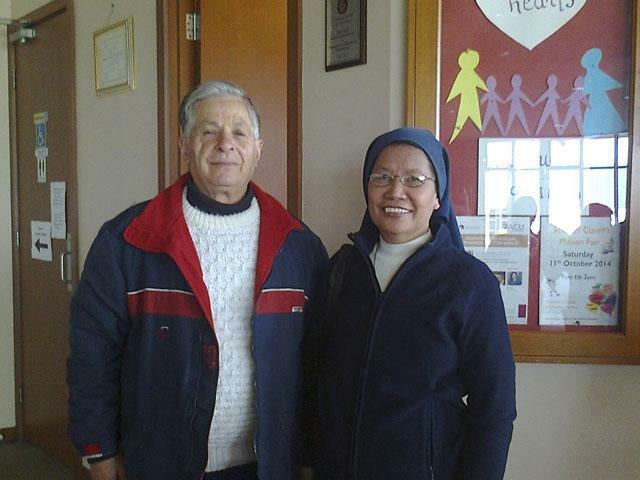 Sr Arsie spent time in each of the three communities of Melbourne and Adelaide and met some of our closest collaborators, parish priests, College Principal and Pauline Cooperators. 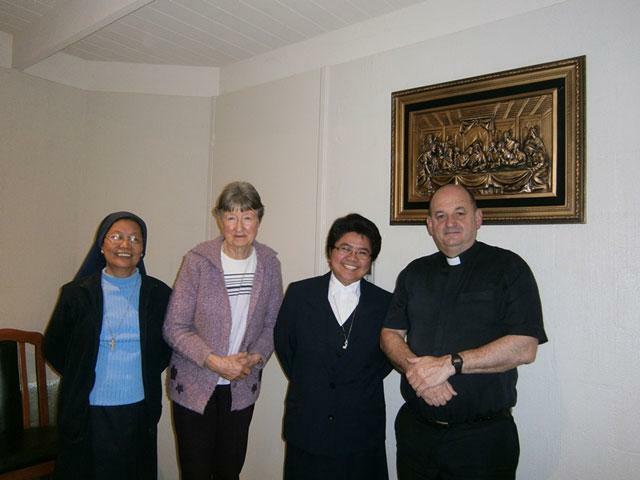 During her visit Sr Arsie also held the consultation for the new Superior and bursar for Australia. Before her departure for the Philippines we made time to visit friends and to have an Aussie outing. 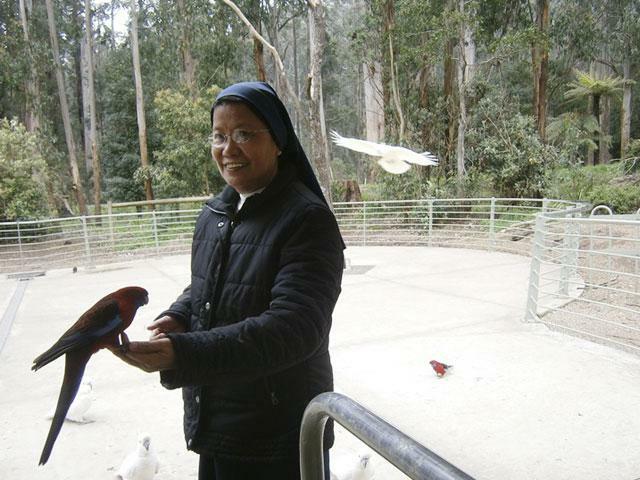 The rosella park experience was a highlight. 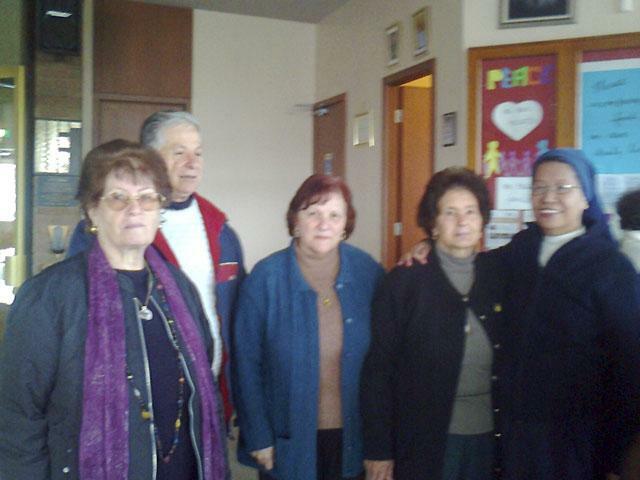 The visit was for all of us a time of grace. 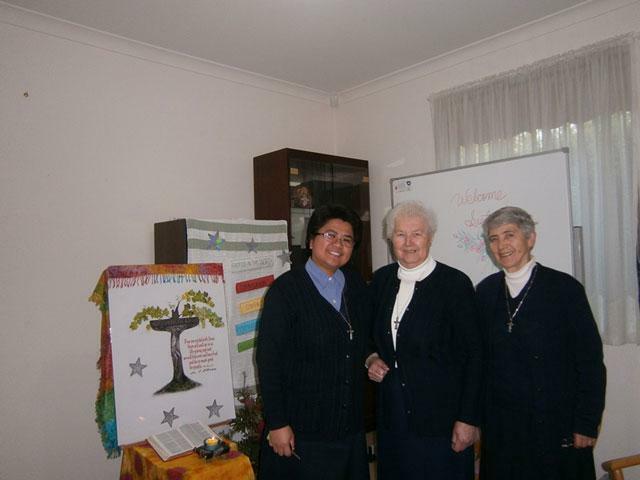 We are grateful to Sr Arsie for her care and love for the Australian community. We thank God for her and her Council and pray that we may continue to grow in love and communion with one another and remain creatively faithful to the pastoral mission entrusted to us. 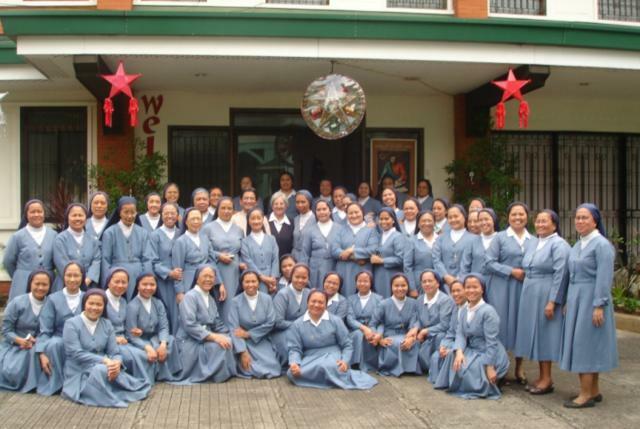 The Province is composed of 64 Sisters, distributed in 16 communities. 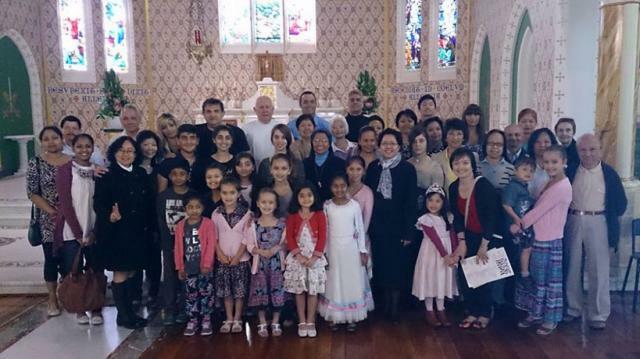 The majority are Filipinos, with some who are Australians and others who are Italians. 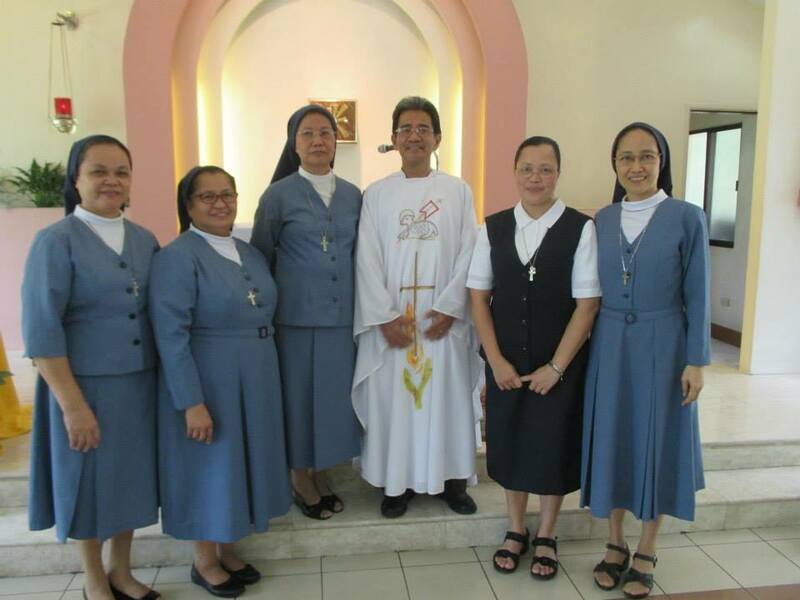 From the total group 52 Filipino Sisters are in the Philippines, 2 in Saipan and 10 in Australia. 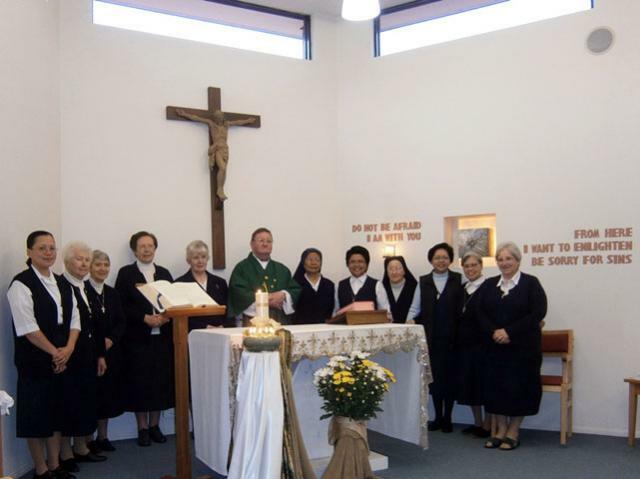 The major ministries that are carried out in different dioceses and parishes are various: the apostolate in the school; the pastoral care to seafarers and their families; the formation of basic ecclesial communities; the formation of leaders and catechists; the promotion of social action; family pastoral ministry; the accompaniment especially to the youth. 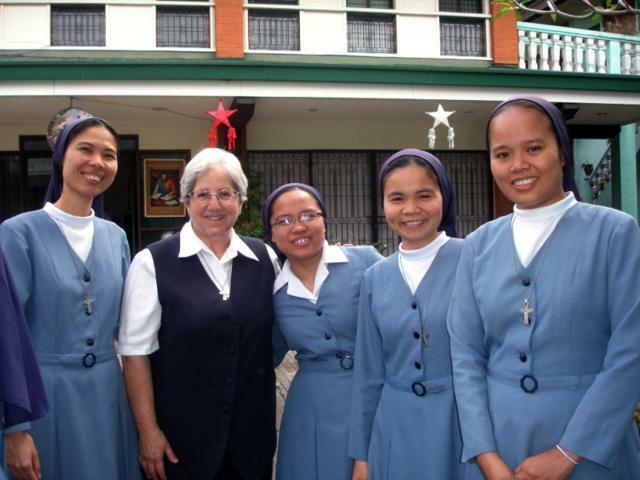 In the three countries that make up the Province, there are different challenges, linked to a variety of needs and problems typical of the cultural context of each country, to which the Sisters try to respond according to their possibilities.